Yu, Zhenghuan,30, has nicknamed himself ‘King Kong’ but not because of his size but rather because of his hairiness. 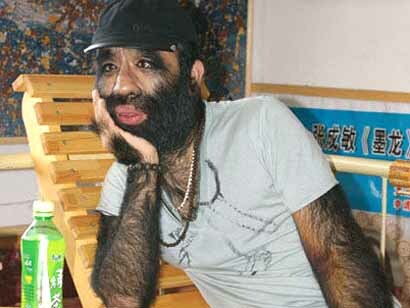 He suffers from the rare condition called hypertrichosis and has become relatively famous in China. Recently Yu has announced that he is planning to get married at the end of the year to a girl he met at a friend’s party. Yu, who was born in Anshan city, has heavy black hair covering his body and face as is typical of hypertrichosis patients.